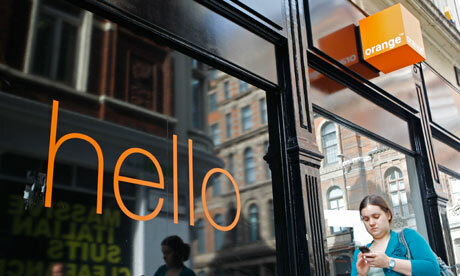 French mobile phone giant Orange could face a lawsuit over its wish to pull out of Israel. Egyptian-born Haim Saban, who controls Partner, the Orange brand franchise in Israel, told Israel’s Channel 2 late on Thursday that he was planning to sue following Orange Chief Executive Stephane Richard’s comments that he wanted to "pull out of Israel" as soon as possible. "Orange gave in to pressure from all sorts of anti-Semitic bodies,” Saban told the broadcaster. “In every generation they rise against us to destroy us. We are strong and we will be unified and fight against them. On Wednesday, Richard told the Daily News Egypt newspaper that he wanted to withdraw Orange from Israel and cancel the contract with Partner. Although he did not comment on the international boycott of Israeli goods his remarks were linked in the media to the campaign. “Our intention is to withdraw from Israel,” Richard told the newspaper. The following day, the Orange boss gave an interview to French daily Le Monde. "It is not the policy of our group to have an operator, of which we have no control, to use our name," he said. However, he noted the contract with Partner runs to 2025 and clarified that he would withdraw from Israel "if I could". Partner is one of Israel’s biggest mobile phone networks. Orange is 25 percent controlled by the French government and Richard's remarks were followed by a diplomatic protest from the Israeli government and Israeli Prime Minister Benjamin Netanyahu demanded an apology. French Foreign Minister Laurent Fabius did not comment on the dispute but is scheduled to travel to Israel on June 21, when the issue is likely to be raised. Meanwhile, the U.S. reacted to Richard’s comments by saying it has and will oppose any boycotts directed at the state of Israel. "We also understand private companies can make their own decisions," said State Department spokeswoman Marie Harf. "That doesn't mean we won't oppose those decisions."